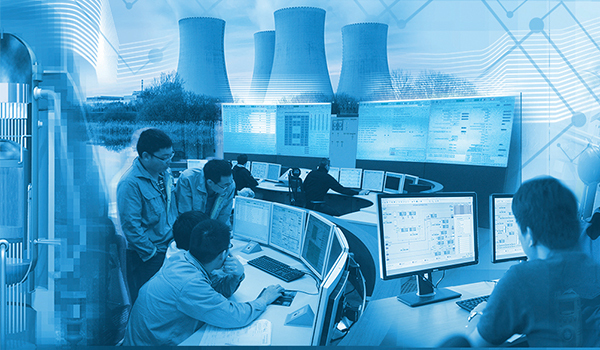 By combining its system engineering tools with simulation, the nuclear industry is now working to make its design process even more reliable and productive. There are five good reasons to make this choice. Since 2006, EDF has combined system engineering and simulation with TREFLE, the engineering simulator for the Flamanville EPR reactor. Similarly, Framatome used a specific simulator developed by CORYS for the commissioning of the EPR plant in Taïshan. Engineering simulators are also being used for Hinkley Point the British EPR project or for the basic design of the EPR2 power plants new generation. Finally, the use of simulation to design a safer Instrumentation & Control was the subject of four years’ worth of research by the CONNEXION Cluster. CORYS has all the tools needed to combine engineering and simulation. Thus, the process models developed for training simulators can be used for studies. A tool such as the DFD Editor - used by EDF for Hinkley Point - describes and executes functional specifications, for example for open loop testing. Finally, Alices® has proven itself as a platform for integrating a wide range of engineering building blocks, including Scade, TXS (Framatome) and so on. The design of a reactor involves several hundred people organised in quite self-contained disciplines: procedures, I&C, operation, and so on. The integration simulator into which data from all these sources is injected creates continuity between these disciplines, decreasing the risk of operating in silos and the resulting inconsistencies. Combined with Product Life Management (PLM), the simulator can also ensure traceability for design stages, corrections, and tests. The sooner errors in a complex system are detected, the less they cost to correct. Simulation is unbeatable in this respect: testing can start as soon as the first I&C specifications are available. Open-loop testing can be conducted, as well as hardware in the loop testing later on, with the actual cabinets. Moreover, specialised tools allow test scenarios to be devised, using formal methods to check properties relating to functional and safety requirements. Coupling system engineering tools with simulation has another advantage: it shortens design cycles. For example: the commissioning simulator for Taishan, for instance, absorbed engineering data at the rate of one step change every quarter and one update every month. No traditional tool (paper, Office suite, databases) can match such productivity.